Modeled after Gracie's paw print, this geometric design is perfect for any dog lover! Gracie's cancer has returned, and this time it is inoperable. We need to begin immediate treatment. We started this campaign to offset our treatment costs, and if you would like to help, we would be so grateful! 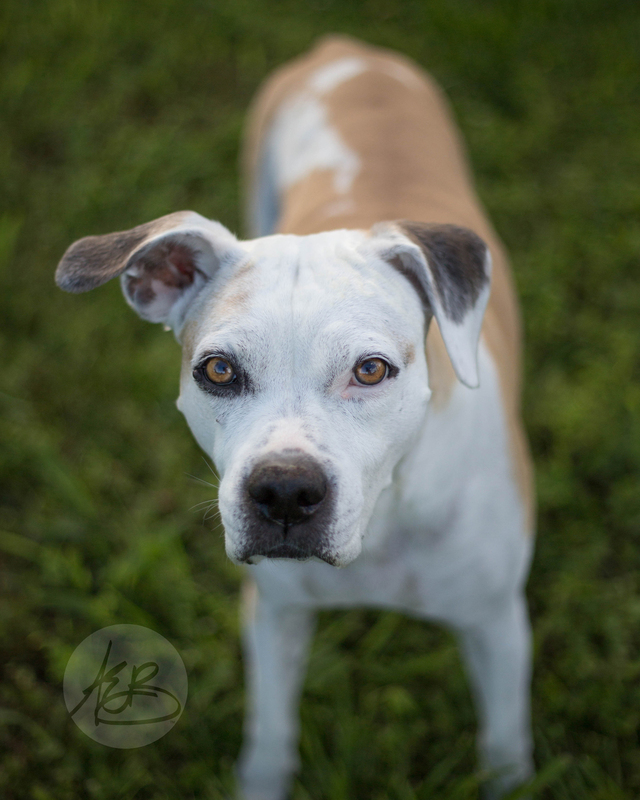 Gracie is our 12-year-old pit bull/boxer mix. She has undergone several surgeries over the years to remove mast cell tumors. After each one, she always bounces back to her goofy self! This year has been a lot on her. An ear hematoma, a difficult mast cell removal, and a ruptured spleen . . . Recently, Gracie had another surgery, and as usual, she’s back to her normal self. However, the other day, we received a call that her cancer had spread to her lymph nodes and is extremely aggressive. Surgery isn’t an option at this point. Without treatment, she has been given 6 weeks - 3 months to live with a rapid decline. With treatment, she has been given 6+ months. Currently, Gracie is acting like nothing is wrong, playing with the other dogs, energetic, and stealing toys. Six weeks feels too soon for our precious girl to go, so we are going to start immediate treatments. With all of the vet bills over the last year, the expensive treatments are going to be too much, which is why we started this campaign. We could use all the help we can get! Thank you for taking the time to read this, and if you can, we hope you will help us keep our Gracie alive and pain-free for as long as possible.